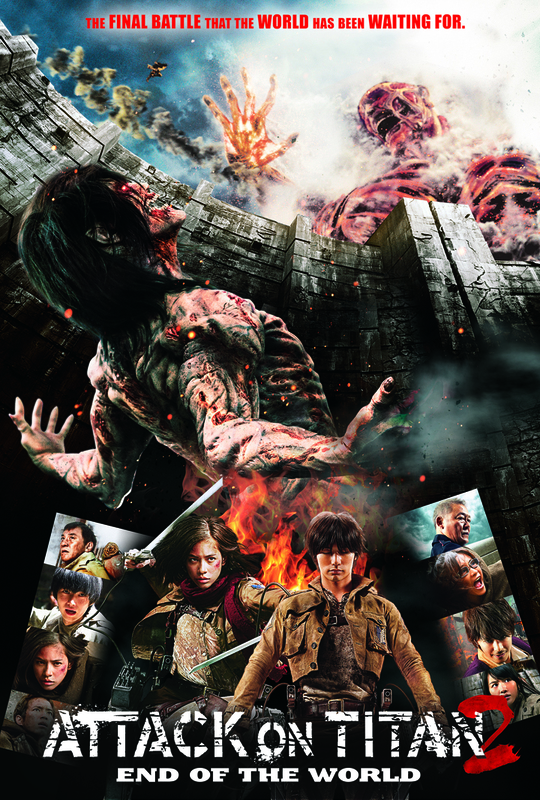 Reeling from the success of the first “Attack on Titan” that devoured Japan’s box-office when it opened number one that earned more than five million dollars on its opening week comes the second part “Attack on Titan: End of the World” that is poised to outperform its predecessor at the box-office worldwide. Struggling and fighting united against the Titans, Eren after being devoured by a Titan mysteriously came back to life taking on after the Titan’s form and strength. Surprisingly, Eren after being turned into a Titan started to attack the Titan towards the end of the film, leaving the rest in awe that they finally found an ally against the towering monsters. However, not everybody is convinced that Eren is humanity’s last hope against the Titans since a few still doubt where his loyalty lies between man and Titans. “Attack on Titan: End of the World” takes us back to futuristic and apocalyptic Japan where humans are now repairing the holes in the wall that the Titans have destroyed. Along with Eren, mankind’s last counterattack begins as the gigantic humanoids continue to devour people. Haruma Miura, who plays Eren, the film’s lead star seriously prepared for the role, “We don't use any stunt men in the film. As for the training, there was a lot of muscle that I had to build, but not for aesthetic reasons. It was all for the wire action because of course that is the highlight of the film. So there was a lot of training of the inner muscles,” Miura said in his various interviews. Unraveling the mystery behind the Titans, “Attack on Titan: End of the World” opens this September 23 nationwide from Pioneer Films.